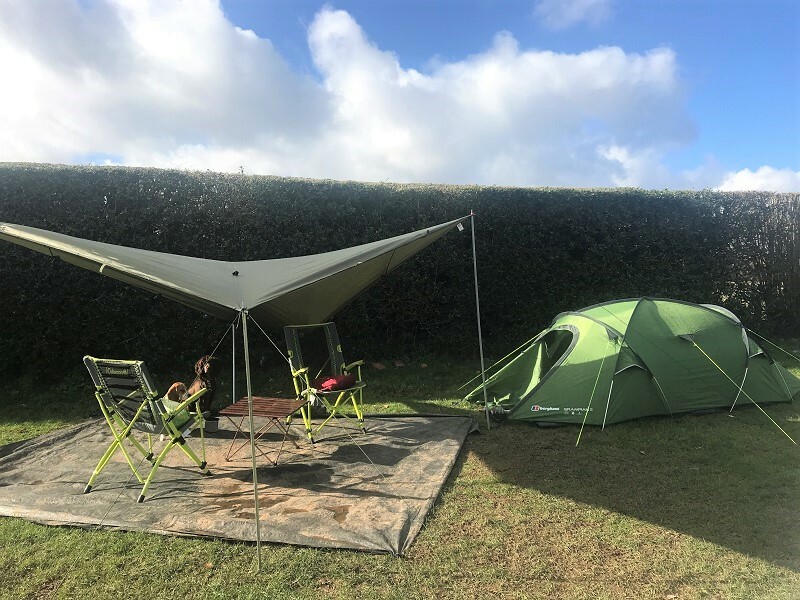 We had some rain and quite a bit of wind on this camping outing, but the Berghaus Grampian 2 tent took it all in it’s stride. 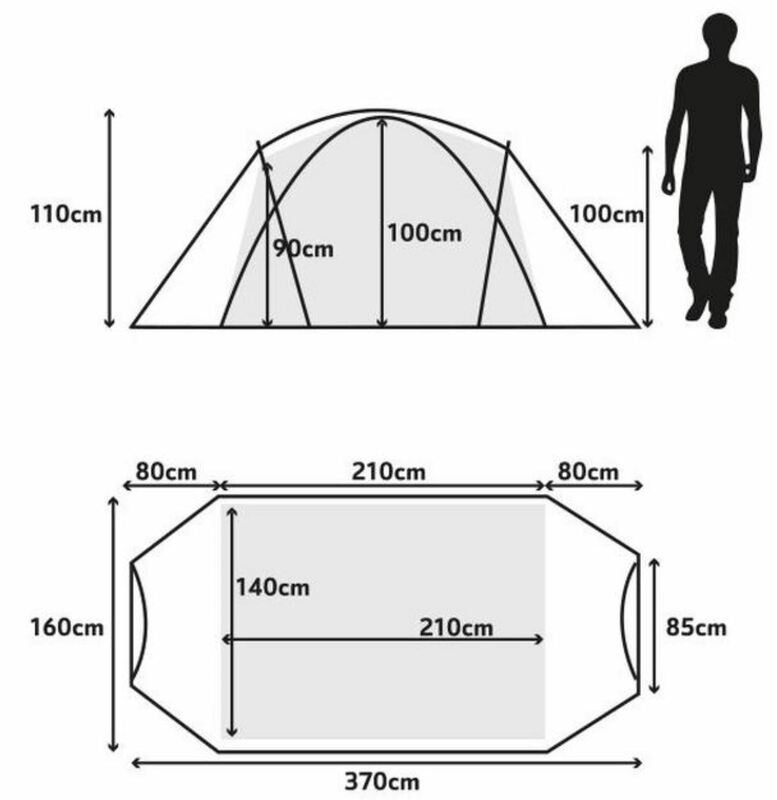 We got the distinct impression that this backpacking tent will cope easily with quite a bit of nasty weather. 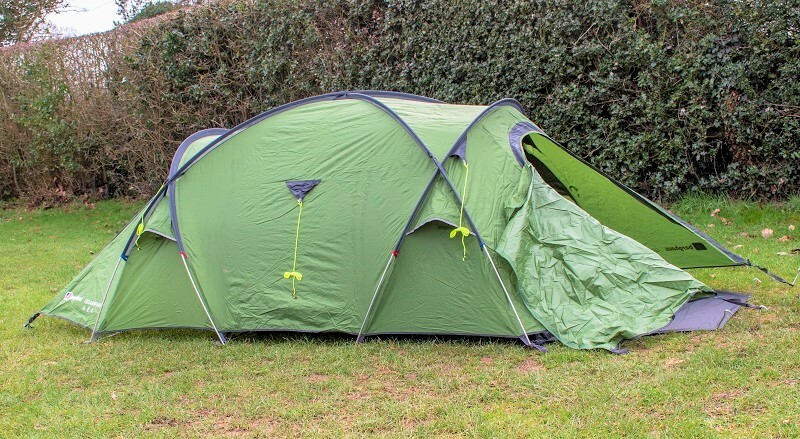 Combine that with 2 entrances for storing your stuff and lots of room inside, the Grampian 2 looks to be a great tent for some serious adventures. We found ourselves in deepest darkest Bewdley as we wanted to go for a decent walk around the Wyre Forest in preparation for our Scottish West Highland Way 96 mile hike. We of course also needed an excuse to cook up some steak and pasta and eat it in the fresh air. 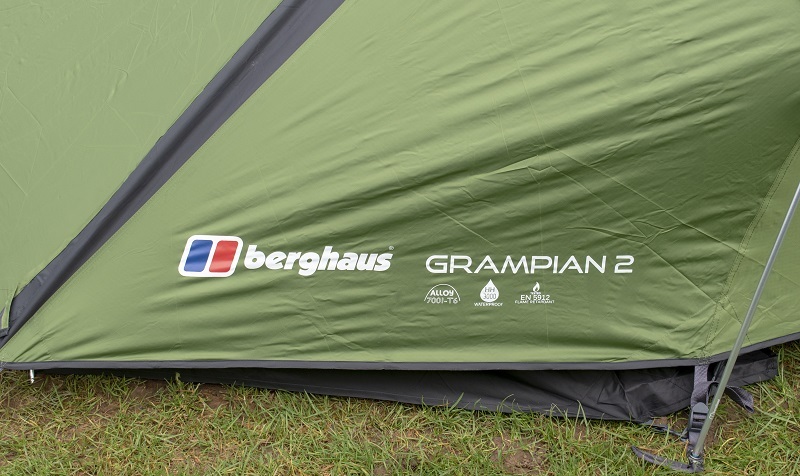 So the Berghaus Grampian 2 became our base for the night, and what a great base it was. For late March, the weather was supposed to be clear and fairly mild. Although we got clear skies for the most part, what we also got was some very strong wind. Strong enough for us to eventually take down our ‘steak eating tarp’ for safety reasons. However the Grampian 2 was totally unaffected, and we mean totally. 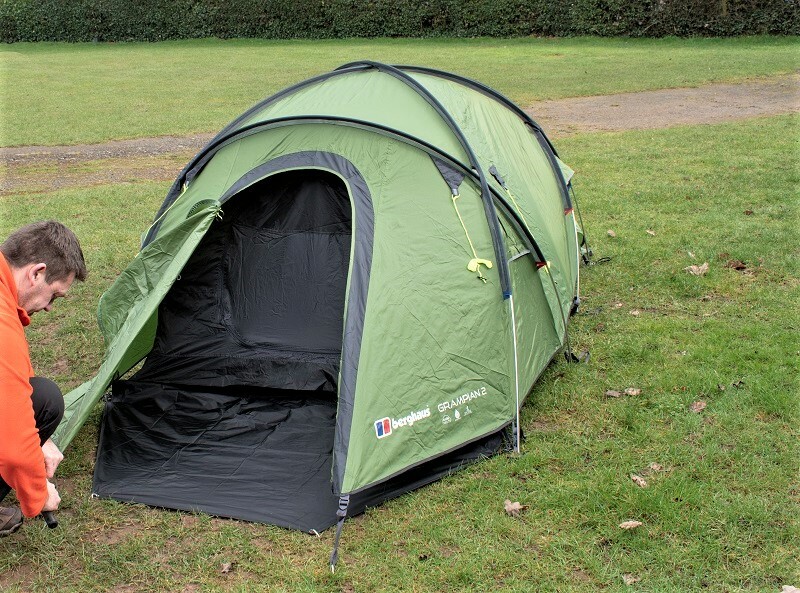 As is usual, we didn’t read the instructions when we put the Berghaus Grampian 2 together, not because we are unorganised or unprofessional, but because we feel it is a good gauge of how simple, hassle free and quick a tent is to pitch. The Grampian 2 was out of the bag and pitched in only a few minutes, including attaching the inner tub style bedroom. 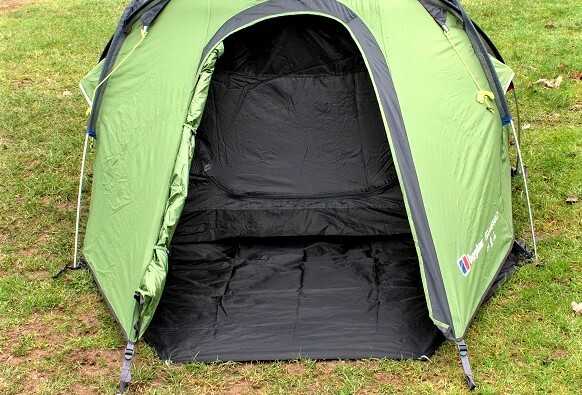 There is a separate ground sheet that fits into the floor area of one of the entrances, meaning that you can store your gear off the ground to keep it clean. We would use the other entrance (without groundsheet) for stashing our wet gear or cooking in if the weather was really bad. There are four colour coded poles (2 red and 2 blue) and these were fed through the pole sleeves easily. The pole sleeves are mesh, this is to reduce wind resistance. They are said to be anti-snag too, and we didn’t experience any problems when feeding the poles through. The doors have 2 way zips on them which gives the versatility of opening them up fully, or just having the top opened a little bit if needed. There are clips on the sides of the doors so that they can be rolled to one side and held out of the way. 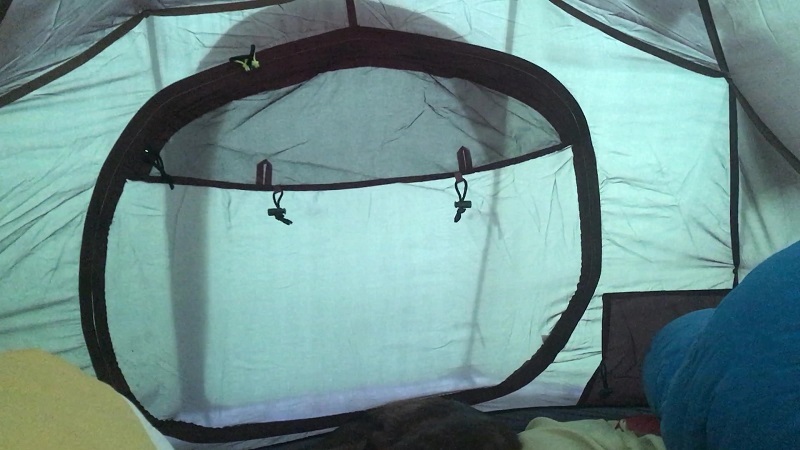 There is great ventilation on this tent with 2 large vents on each side. Combine that with the option of opening the tops of the doors and the mesh panels in the bedroom doors, you have so many ways in which to control the airflow and keep any condensation to a minimum. 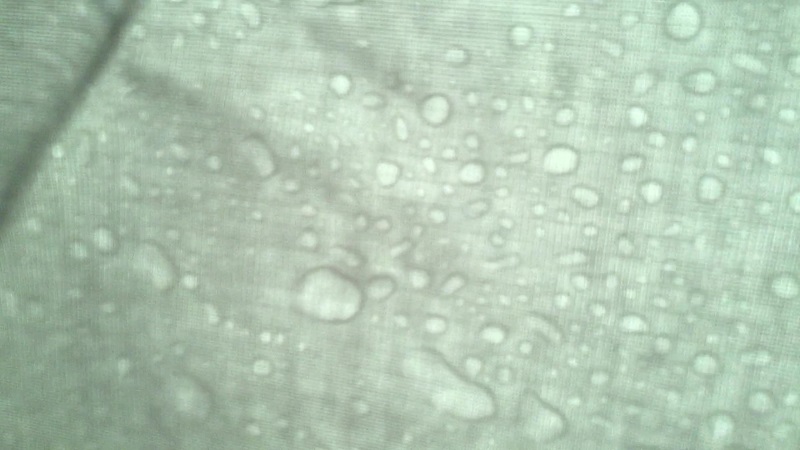 As we wanted to sit outdoors and enjoy our steak and pasta, we set up a tarp infront of the Grampian 2. Did we mention the wind, well the tarp survived until the morning until the point where it started flapping around dangerously so we took it down before it got destroyed or someone got hurt. However, the Grampian 2 was completely unaffected by the strong gusts. Why did it cope so well? Because of it’s geodesic design. 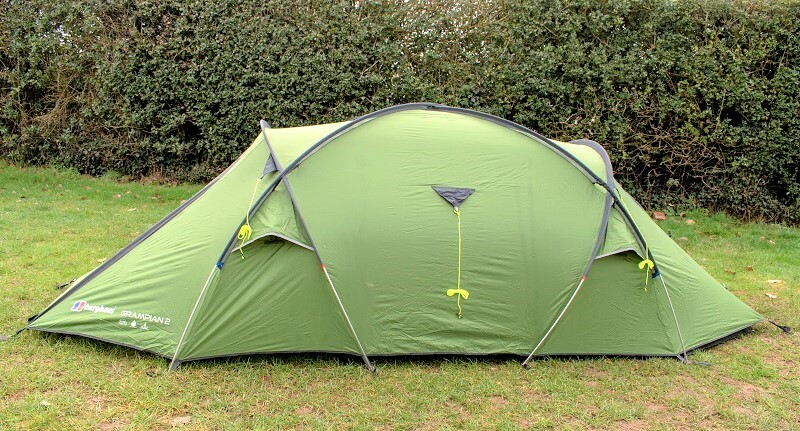 If you don’t know what that is then keeping it simple, it’s the combination of dome-like tent shape and criss-cross poles creating triangular shapes combining to make a very robust structure. 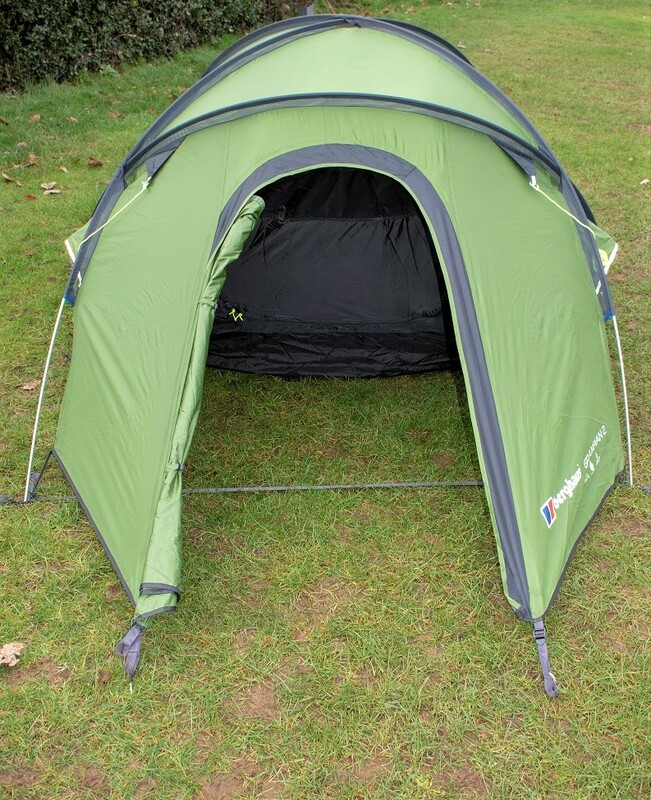 This 2 man tent is very roomy inside, there were 2 adults on (not small) sleeping mats and also our 2 young dogs. We had more than adequate space to move about, and adequate headroom too. It’s 2.1 metres long inside, we had plenty of room and didn’t feel cramped, even with the dogs. 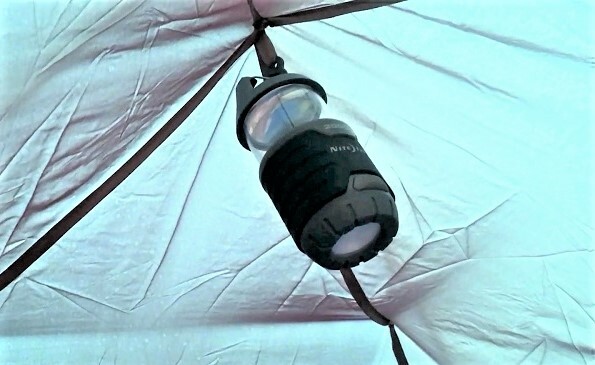 There is a lantern hanging point right in the centre if the bedroom as well as plenty of mesh pockets around the inside so you can store your stuff is within reach. Fitting the inner bedroom was straight forward, there is a simple clip/elastics arrangement inside that you cant really go wrong with. 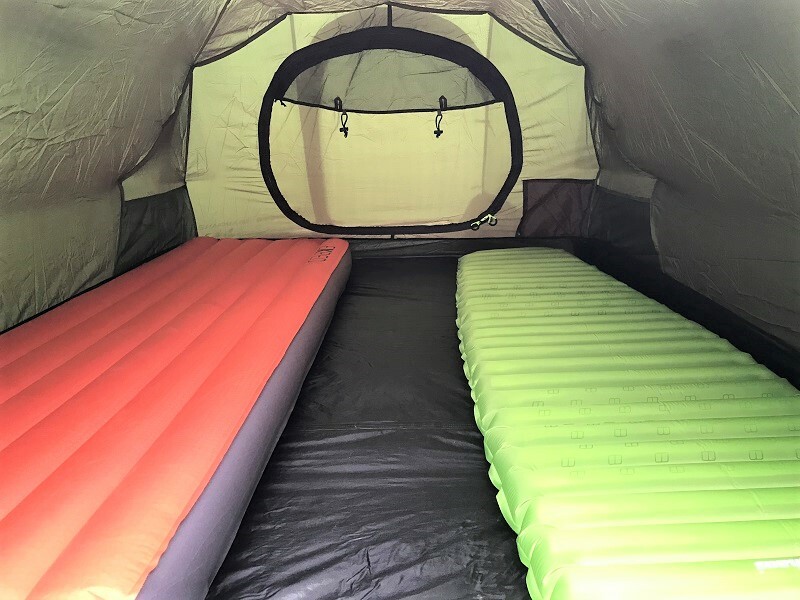 We packed the Grampian 2 away with the inner bedroom left in place, meaning that it can be deployed even faster next time we use it – perfect for if the weather is wet.. It went back into the oversized bag just as easily as it came out. The storage bag has 2 compression straps built into it, so everything can be pulled up tight and secure. 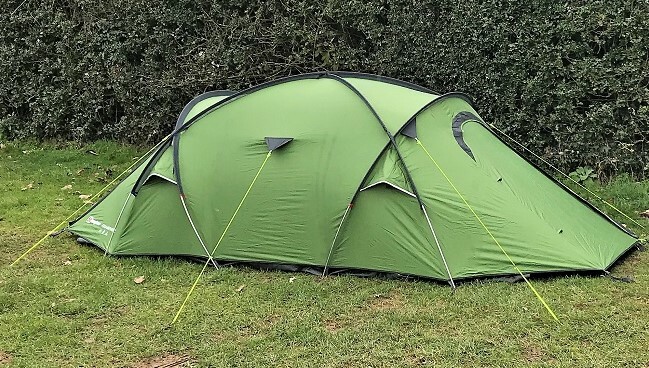 At 4.2kg this is not the lightest of 2 man backpacking tents, but for the price of this great bit of kit you will definitely struggle to find another geodesic tent that is as robust and affordable. 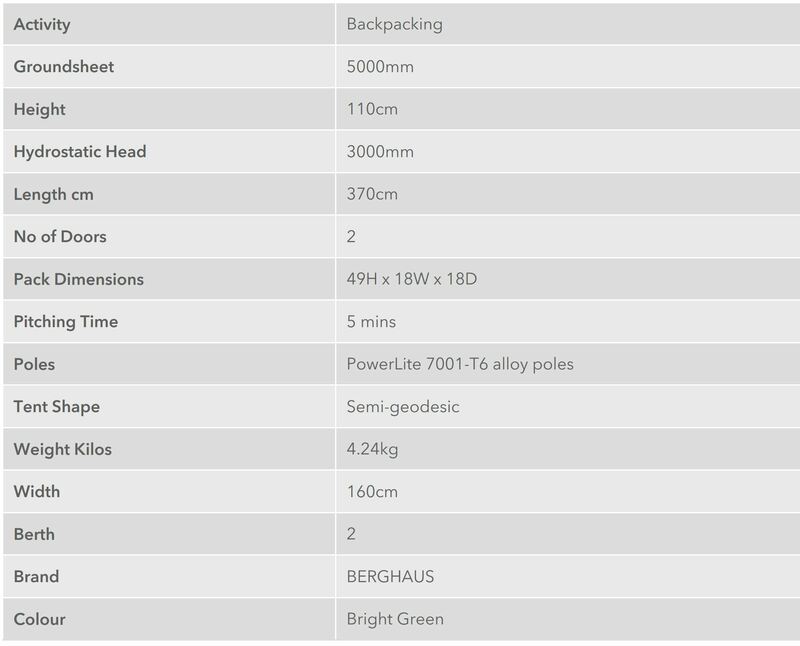 For the mountain wanderers without £500+ to spend, the Berghaus Grampian 2 tent is definitely worth taking a closer look at.